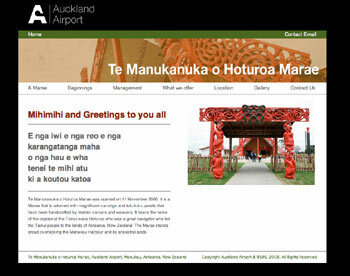 Te Manukanuka o Hoturoa Marae at Auckland Airport provides provide a cultural heart for the airport where all people will be welcomed under the tikanga (protocols) of Tainui. This beautifully carved Marae provides a place where all can share our Maori culture. The Marae can be an alternative conference venue, space for school programmes, overnight stays, short stays and a gathering place for most occasions.